Not many would have thought that possible a few years ago: Moto Guzzi builds an absolutely contemporary, modern mid-range travel enduro! The V85 TT can proudly wear its brand-new V2 engine like a victory sign, as it could help the Italian manufacturer with the eagle in the logo reach new heights. But a little bit of Italophilia is needed anyway. 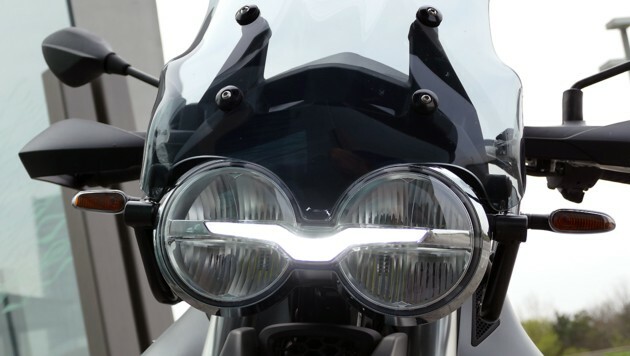 The real sign of pride is the LED eagle, which connects the twin headlights like a clasp and also serves as a daytime running light. Welcome to the modern age! Two years before the celebrations for the centenary of the Guzzi forge, the Moto Guzzi V85 TT emancipates itself from the once successful (eight world titles in the 1950s), but ultimately more difficult brand past and rises on eagle wings on the pure hobby building fleet. But without betraying their origin. The engine is more modern than it looks. Thus, the traditionally longitudinally installed, air-cooled 90-degree V-twin with 853 cc has the same volume as that in the rather weak-bred V9 models with their 55 hp and 62 Nm, but otherwise, Worlds are in between, the new one has been completely redesigned and is now the first supporting component of the framework. Titanium valves, new lubrication that makes the oil cooler superfluous, new crankshaft, new piston rods, etc. make possible at least 80 hp and powerful maximum torque of 80 Nm from 5000 / min. The power transmission takes place via cardan shaft – unique in the class! Softly vibrating and, above all, with a moderate but nevertheless great V2 sound, the Italian girl does not ask for a long time and pushes hard. After all, it delivers from 3750 / min. already 90 percent of the maximum torque. Also up there she does not let up, we have here the first Guzzi engine of this size, which is allowed to turn up to 8000 tours! And just before that there is the maximum power. It is also economical. Between four and a half and five liters per 100 kilometers, she swallowed in the test, which thanks to 23-liter tank provides great ranges. And how does she drive? 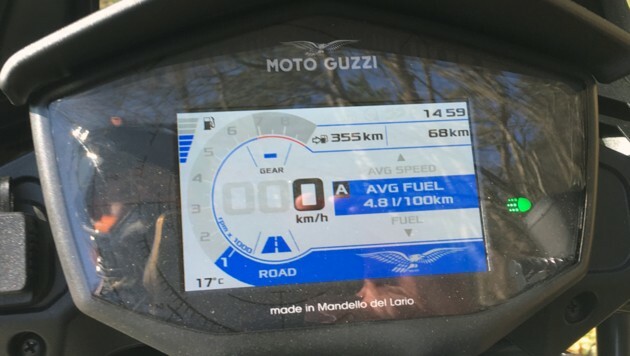 One may hardly descend from the Moto Guzzi V85 – good that the range fits! The seat is very comfortable (two alternative seat heights optional as an accessory), also the sitting position is quite comfortable. Upright and passive, but good for long trips. For cornering, you may want some more front-wheel orientation, but for an enduro cruiser that fits well. Plus: Of course, bends with the Guzzi are fun! With the high, wide handlebars, it can be easily put down, it steers clean, the chassis works concisely and confidence inspiring. Okay, she weighs a full 229 kg, but let’s face it, that’s not all. It corresponds exactly to the official weight of the BMW F 850 ​​GS, which has 15 hp more, but as a test bike in full regalia then weighed 254 kg. The not too large windshield can be locked in three heights, but not without tools. The matching Allen key is under the saddle. The windbreak is mediocre, but at least the disc does not create any annoying turbulence on the helmet. 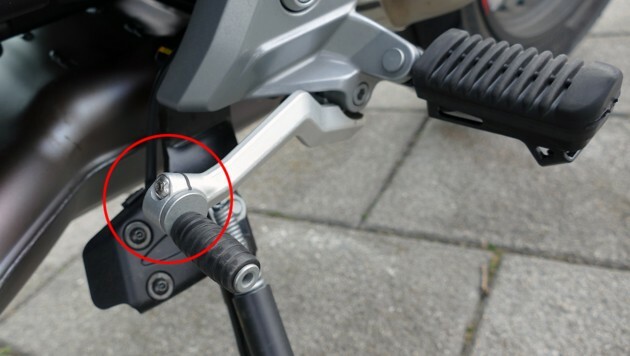 Very cool: Shift and foot brake levers can be set in seconds with another Allen key! The hand levers are adjustable. Without tools. The handlebar too. With tool. 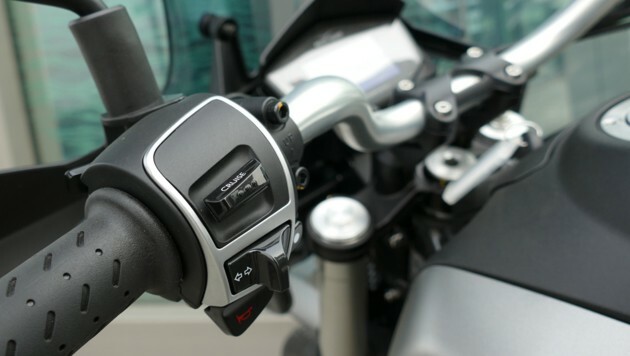 The throttle commands are transmitted by Ride by Wire, which is why Moto Guzzi was also able to implement traction control and three driving modes. “Road” is clear anyway, “Rain” sharpens the traction control and dampens the throttle response; “Offroad” gives traction control more leeway and shuts off the ABS on the rear wheel. 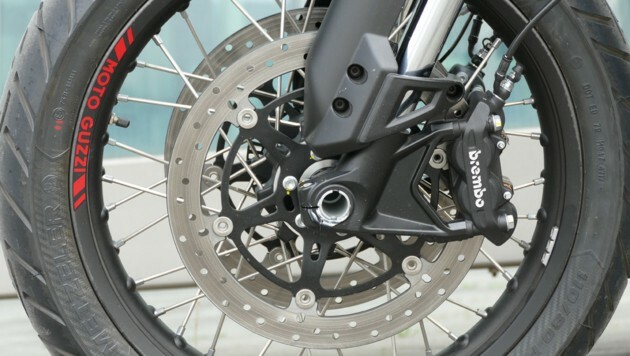 On the front wheel, the ABS allows more slides and it can also be completely disabled. 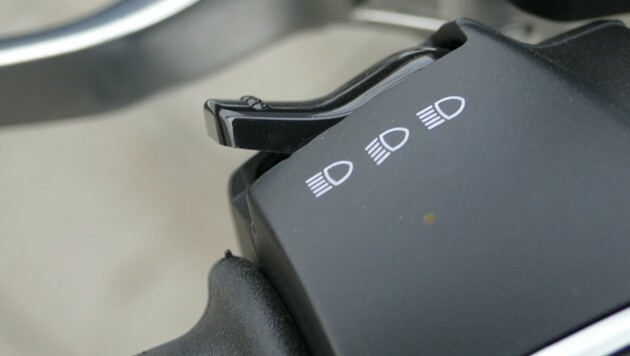 Top: There is a cruise control system – but it is difficult to operate (see below). The TT in the name, of course, is not from “Tourist Trophy”, after all, it is not a racing motorcycle, but an enduro cruiser. TT stands for “Tutto Terreno”, which means “every terrain”. And indeed, the Guzzi can also off-road. 170 millimeters of travel in the front and rear, 21 centimeters of ground clearance and an aluminum engine guard invite you to excursions into the outback. With wire spoke wheels in the format 110 / 80-19 front and 150 / 70-17 back you can start something. Tires are available depending on the shape. So far everything very pleasing. But as intentionally as if the Moto Guzzi V85 TT was not perfect, her fathers have been shitting in detail or lost in the play instinct. The TFT display is not only small, but it is also above all confusing and not very easy to read, because of low-contrast. Baby blue and light gray on white! Who comes up with such an idea? And we are not talking about direct sunlight yet. Actually, it would be very informative, and also the logic of the onboard computer fits. Fine is the USB socket next to it (a second is optionally under the seat). And then those spongy buttons. When switching off the turn signal, the switch gives no feedback. Even worse feels the cruise control. Since the operation is almost a matter of luck. And: If it is just inactive, a green light flashes as if the turn signal were on. 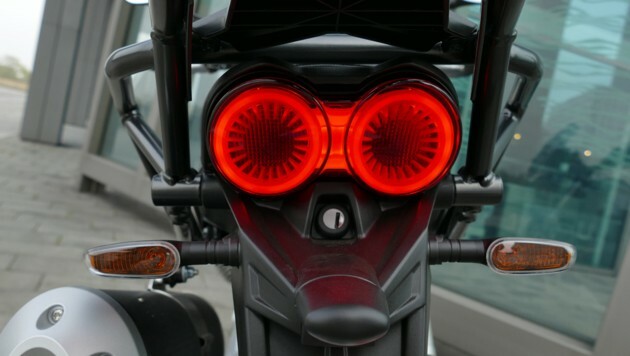 Nobody has ever designed something like that, who has ever driven a motorcycle ?! In addition, you often accidentally drive with high beam, because the switch protrudes too far and you basically stretches when pulling the clutch lever. 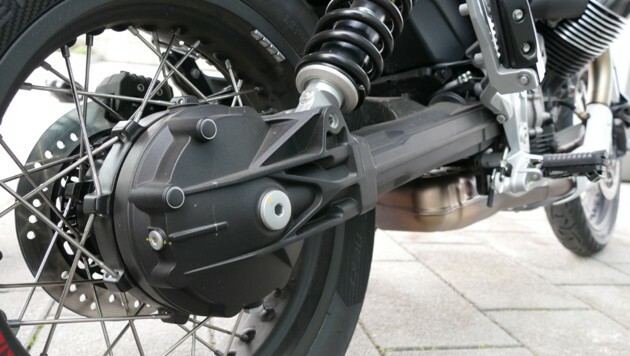 In addition, the clutch has a strange grinding point, but that may be a matter of adjustment. However, no complaints about the Brembos with the two 320er-Scheiben and Vierkolbenzangen front and the 260er-Scheibe including two pistons behind. 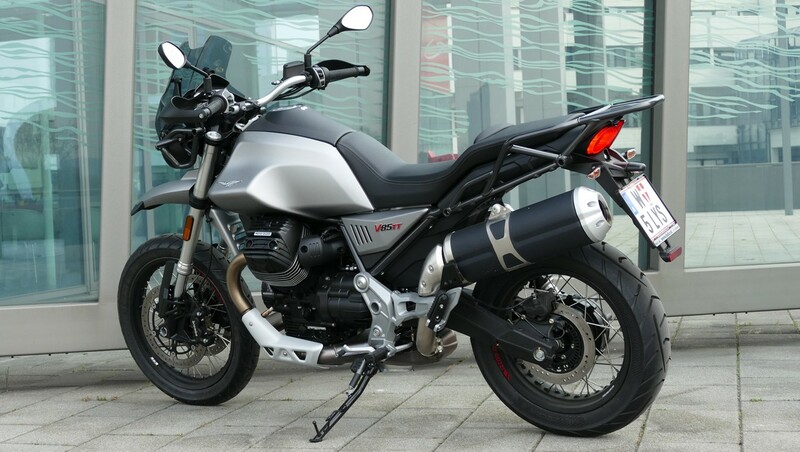 The Guzzi delights the heart with its pleasant nature, good manners, clear handling, large tank and a powerful engine. Also with lovely details like the adjustable foot levers. In terms of service, she requires a certain willingness to suffer. At this point, one could try the stereotype of the spirited Italian, the diva, who challenges her lover. Or you send a nice greeting to Mandello del Lario and says: Please rework that again. It would be a shame if little things prevent the actually deserved great success. 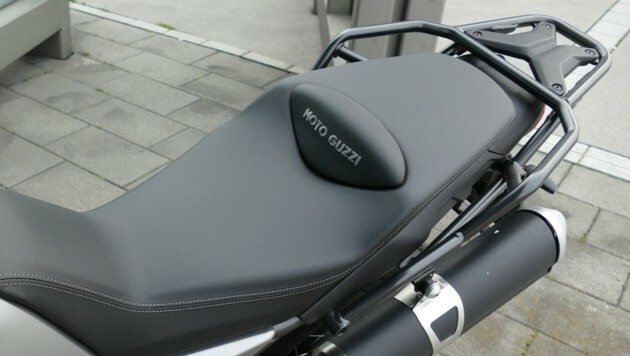 Because: With 12,990 euros, the Moto Guzzi V85 TT is not a bargain, but a basically very successful motorcycle that you really like and that is worth the money. Meanwhile, especially for real Italo freaks.